﻿ Pangola B&B, Kenting | FROM $73 - SAVE ON AGODA! "We have stayed in this lovely, peaceful accommodation on the..."
Have a question for Pangola B&B? "I loved the giant bathtub in the toilet, really relaxing and great for unwinding after a long day." "The staff was very helpful, organizing lots of different things for us and even prepared western alike breakfast." "All in all it was a very nice stay and we wish to comeback there again!" Conveniently located in Kenting, Pangola B&B is a great base from which to explore this vibrant city. The hotel lies 6 km from the city center and provides accessibility to important town facilities. No less exceptional is the hotel's easy access to the city's myriad attractions and landmarks, such as Shadao, Shadao Shall Sand Exhibition Hall, Banana Bay. 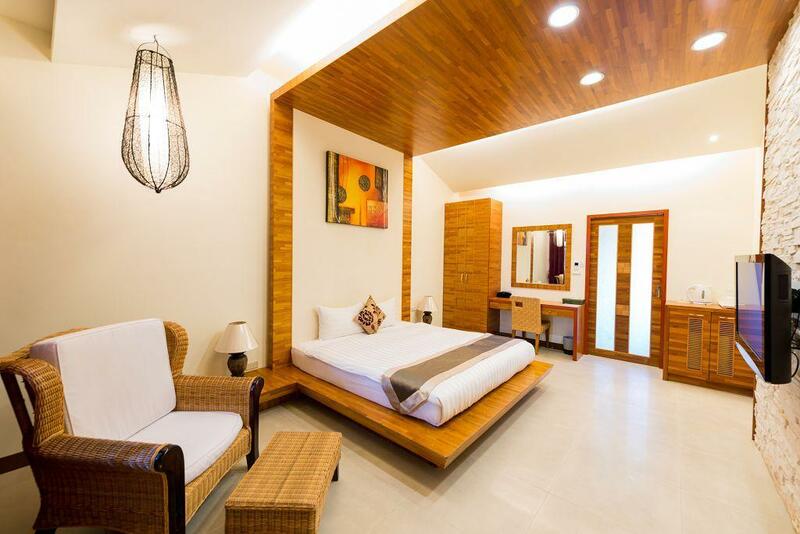 Pangola B&B offers impeccable service and all the essential amenities to invigorate travelers. 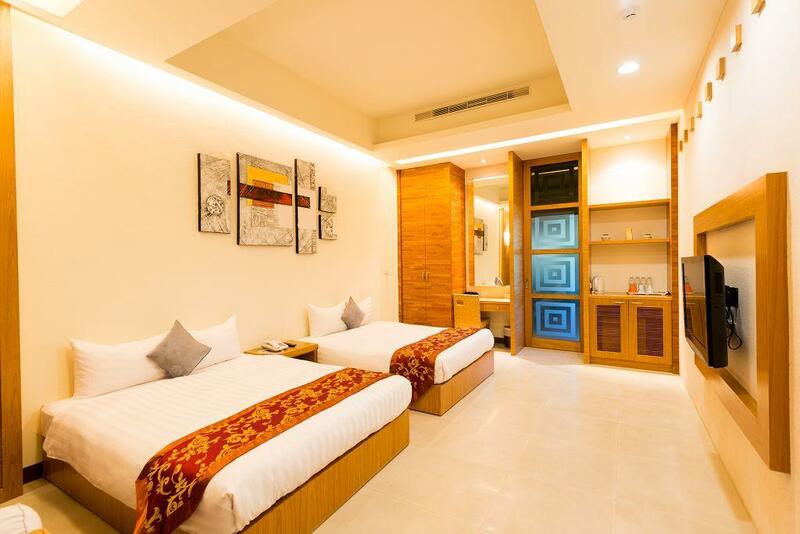 The hotel offers access to a vast array of services, including free Wi-Fi in all rooms, grocery deliveries, postal service, luggage storage, Wi-Fi in public areas. All guest accommodations feature thoughtful amenities to ensure an unparalleled sense of comfort. Throughout the day you can enjoy the relaxing atmosphere of the outdoor pool, solarium, children's playground, pool (kids), garden. 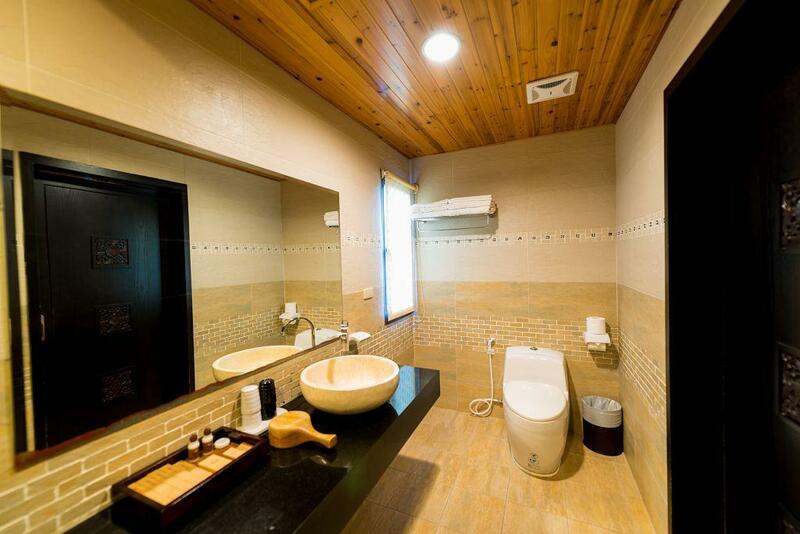 Superb facilities and an excellent location make the Pangola B&B the perfect base from which to enjoy your stay in Kenting. "The facility looks very new, good on one side all is clean a..."
This was a hidden gem. It bit hard to find cause it's sign says summerland resort but really beautiful and modern. There's ducks and a couple of geese on the premise. The owner is so very helpful with recommendations and scooter rental etc. was indeed very happy to have chosen his place to stay. 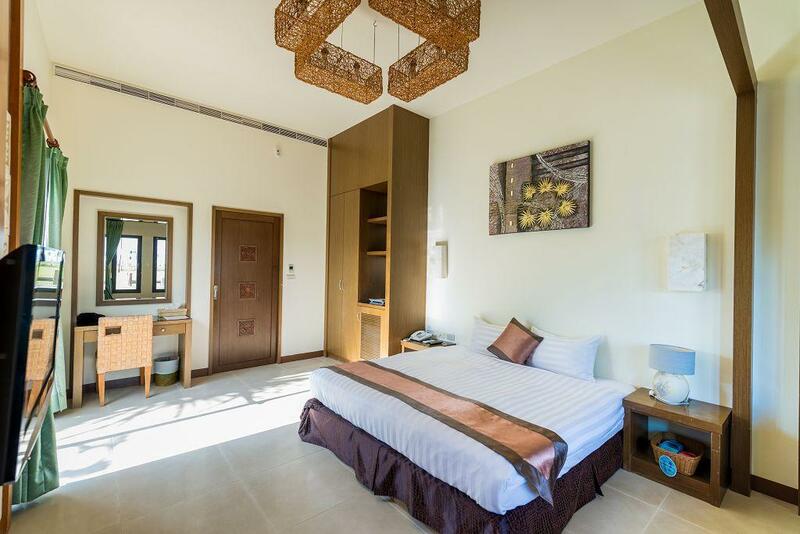 The rooms are very well designed and spacious. I will select here in case of next trip in Kenting of Taiwan. The only problem we had is pump failure for hot water. Consequently, the shower was not an enjoy. We arrived there way too early for check in, it was a hot day. The nice girl from the staff, that was probably the best english speaker we dealt the whole taiwan trip let us bring our luggage to the room, we got bathing clothes on and relaxed some time by the small but excellent cleaned pool. After a while she asked if we have had lunch already, cause the staff were just cooking for themselves... Guess what, we had excellent noodles and nice talk together. The place at all was really calm and wonderful. Cleanliness also best on our whole trip. Superior room. Everyday we were asked what time and which kind of food we would like to have for our breakfast!!!! They made european breakfast just for us. Facilities were brand new, super clean and stylish, superior bathtub in our room. Better wifi connection than in big taipei hotels. Every wish was filled!!! Staff at all super nice. Asked us everytime if they shall bring us something special from supermarket but we were happy whole time staying there although. They have some ducks in a part of the wonderful garden which we could feed after breakfast. Really relaxing location bit outside from the business of kenting street, great for tours. Just over the hill you got most beautiful beaches and scenery of the south of taiwan. I would suggest that hotel anytime without sorrow to my good friends and family. Surely would stay there again. Best hotel on our whole trip. Absolute and highly recommendable!!!! 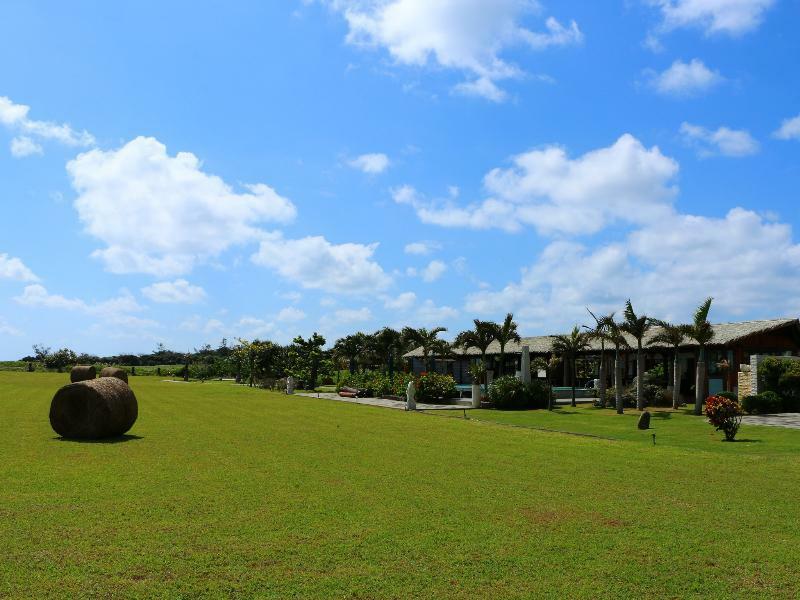 Pangola or Summerland Garden Resort is the place to be, if you want to spend a relaxing holiday in Kenting. It is away from the city-center with all the noise, but not too far away to discover the surrounding, if you rent a scooter in Kenting (which I can highly recommend). The staff is very friendly and helpful. The rooms are very clean, the bath tub amazing. What makes this place unique is the equipment and style of the whole resort: the pool, the sunbeds, the pond with the ducks and goats, the trees and palms. 10/10 points!! The staff is really very friendly and work very hard to please you, provide lot of toys for children to play and can give good advice. But they cannot communicate so well in English. The facility looks very new, good on one side all is clean and nice. The down side is there was no wifi connection in our room during our stay. The location is remote, you need your own wheels to really enjoy the stay. The beach nearby is protected and closed for access to people. All in all a good time, I believe the team will get this place better and better and all small issues fixed in couple of weeks. Very nice staff. My stay at Pangola was Great! I can't say enough good things about the staff. Friendly, helpful, professional. They do go above and beyond! The rooms were quite nice. Spacious and comfortable with attention to detail and cleanliness. For those who don't speak Chinese or have someone in your group that does, it may be a little difficult. I would most definitely stay at Pangola again!! Thank you Alma and all the Staff for a wonderful stay!! The peaceful surrounding. The couple who runs it was super helpful. The big bath tub in the room. Great B & B tucked away in the hills away from the hustle and bustle of Kenting main drag. The surrounding, with the big grass field and view, gave it a very peaceful feel. The field is also a great place to play, whether you have little kids or teens. The owners were friendly and very helpful. They provide rides down to Kenting Main Street whenever you need it. The breakfast was yummy as the ingredients used were very fresh. Great stay. Great location you can have both the ocean mountain view! Staff are really kind and warm! give a lot of assistance and intimate care. the host is fantastic, the location is exactly what i expected, away from the noisy main street! can't beat the view there. Room is clean, pool is child-friendly and there is enough space for the kids to run around in the morning when you want to take your time to get ready. Great place and would visit again. We had a great few days at the Resort. The staff were very friendly, the buffet breakfast was great and well suited to everyone. The rooms were very clean. The staff organised us a car to take us about, they even organized us scooter rentals to get us around Kenting at our own leasure. Because the Resort booked us the scooters, they came discounted. I would stay at the resort again and highly recommend the resort to anyone going to Kenting! Small simple b&b. Gorgeous retreat. The staffs were extremely kind and very helpful to find ways for traveling around the hotel. Breakfast was well balanced for all people. Friendly and helpful staffs, extra clean room and quiet. Hotel tries to help us everything!! Hervorzuheben ist das super freundliche Personal ,das jeden Wunsch erfüllt:-) Ein ganz großes Dankeschön !! Das Hotelzimmer ist sauber und geschmackvoll eingerichtet und die ganze Hotelanlage gepflegt und liebevoll angelegt! Es waren traumhaft schöne Tage (8) und die Gegend hat sehr viel zu bieten.....(Nationalparks , tolle Ausblicke u natürlich das Meer) Ein Mietauto ist empfehlenswert! Klara Weiterempfehlung ! !